Made with rugged materials and mountain-inspired style, our versatile Downwater Anorak is a light and laid-back pullover that provides everyday windproof and water-resistant protection. 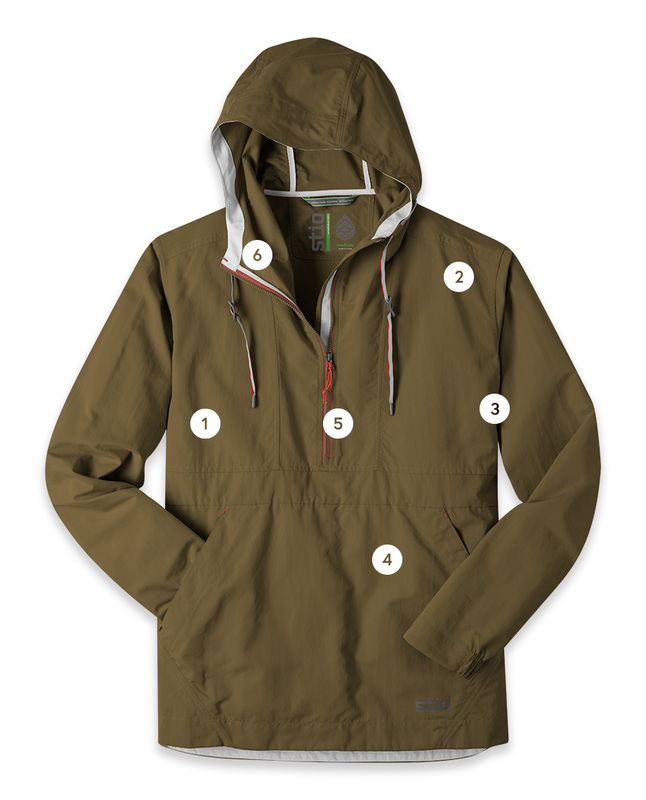 A laid-back, durable design that handles the rigors of daily life whether you're toting firewood around camp or kicking it at the tailgate, the versatile Downwater Anorak is a classically inspired windproof and water-resistant shell. Made with rugged, abrasion-resistant nylon fabric to fend off wind, water and wild nature wherever they find you, this cool-weather pullover also features UPF 50+ sun protection for those bright days where there’s nowhere to hide. "I love the Downwater because it looks so distinctive and turns heads whenever I wear it. It has a laid-back style that goes great with jeans and even better with boardshorts, making it a versatile layer on the river or around town."